With high schools across the country graduating the last couple weeks, I got the privilege of covering a graduation Thursday the 6th that was unique to a specific area and a specific people. 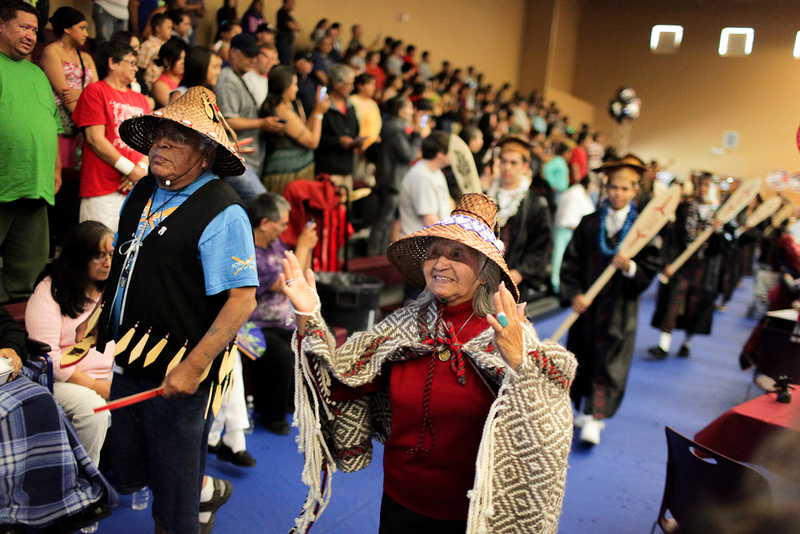 One of two assignments for the Bellingham Herald that day (you can go to the other here) was the graduation ceremonies for the Lummi Nation west of Bellingham, Washington. Featuring the native traditions of dress, tribal songs and speakers it was an awesome experience seeing so much culture retained in an experience that can sometimes be long and mundane. 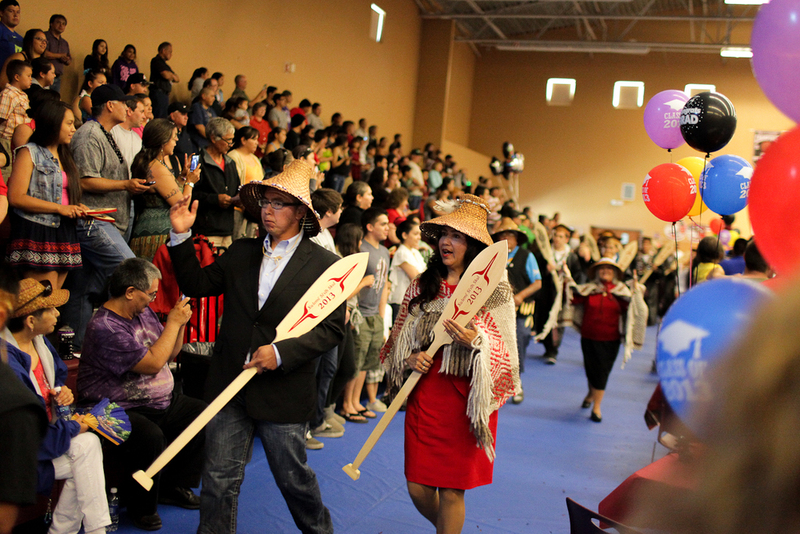 Specially painted with the Lummi high school's Blackhawk mascot these were wooden noisemakers. A young boy in processional leading the graduating seniors to the stage practices moments before the ceremony start. 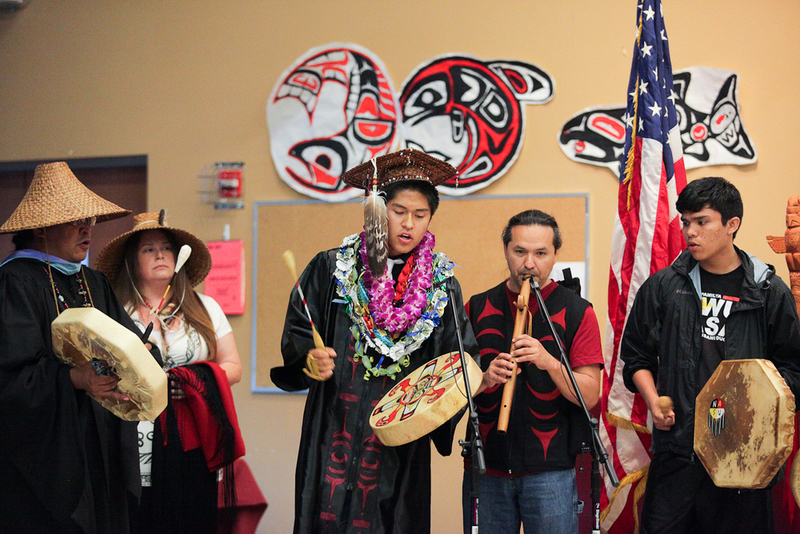 Senior Docavie Vendiola, center, leads a song during the graduation ceremonies for the Lummi Nation. 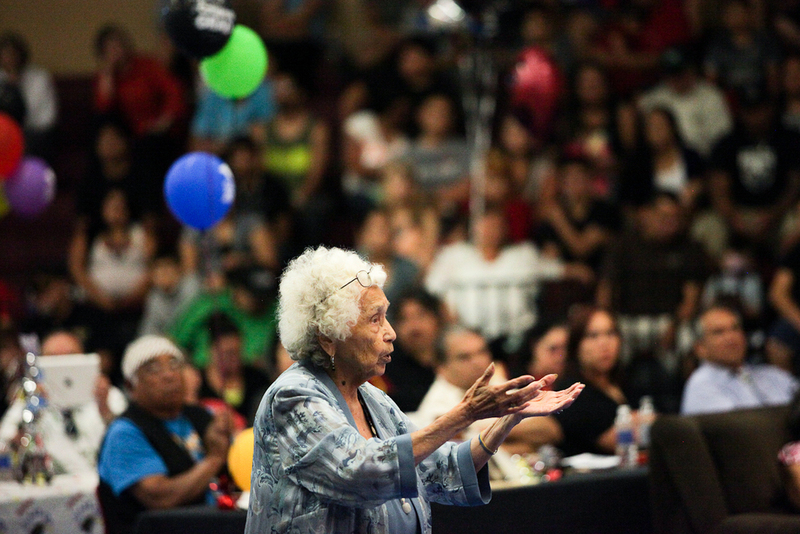 Standing and addressing the crowd, this Lummi elder said she remembered how difficult it was just to stay in school to learn english. She rejoiced at seeing so many kids graduating; something she said she did not think she would ever experience.